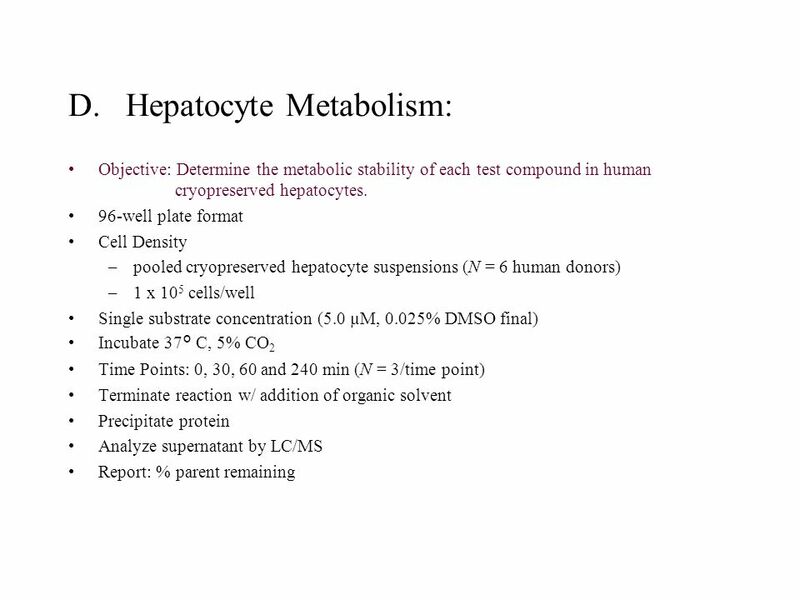 Introduction: The objective of this study was to provide solubility, rabbit intestinal permeability, Caco-2 permeability, and hepatocyte metabolism. 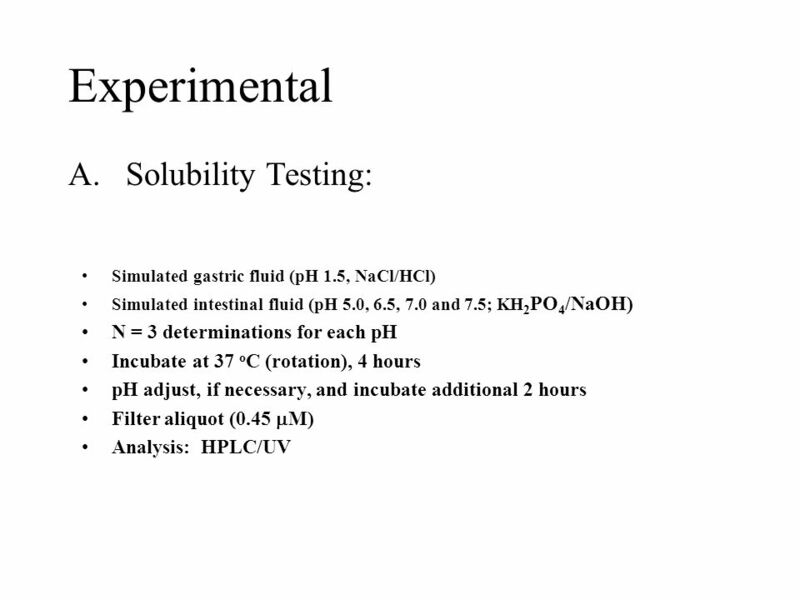 3 Introduction: The objective of this study was to provide solubility, rabbit intestinal permeability, Caco-2 permeability, and hepatocyte metabolism information in a blinded fashion for the performance evaluation of the physiological based predictive absorption model (IDEA ) using a set of eight diverse drug compounds. 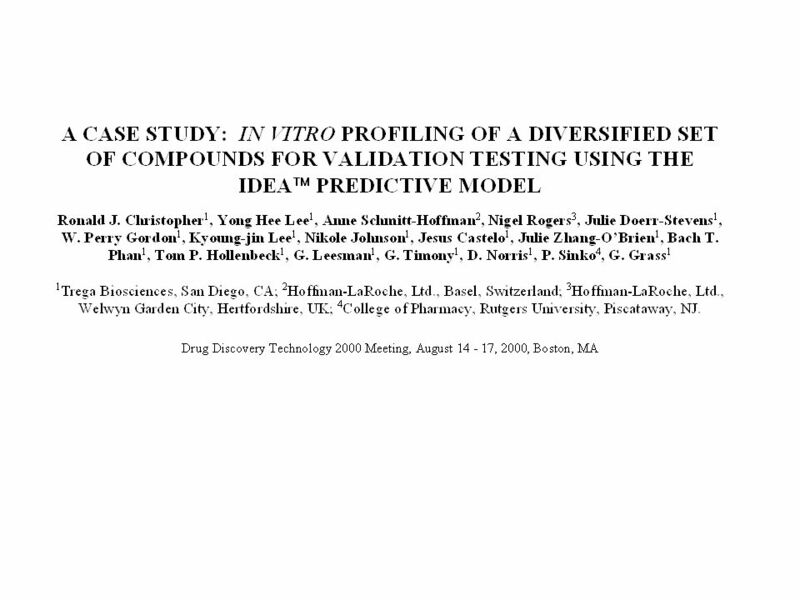 The compounds were derived from different therapeutic classes and were provided by Hoffman-LaRoche, Ltd. Trega has developed a physiological based absorption model (IDEA TM Predictive Model) which was trained using a database of 56 non-metabolized compounds and a total of 85 drug-dose combinations. 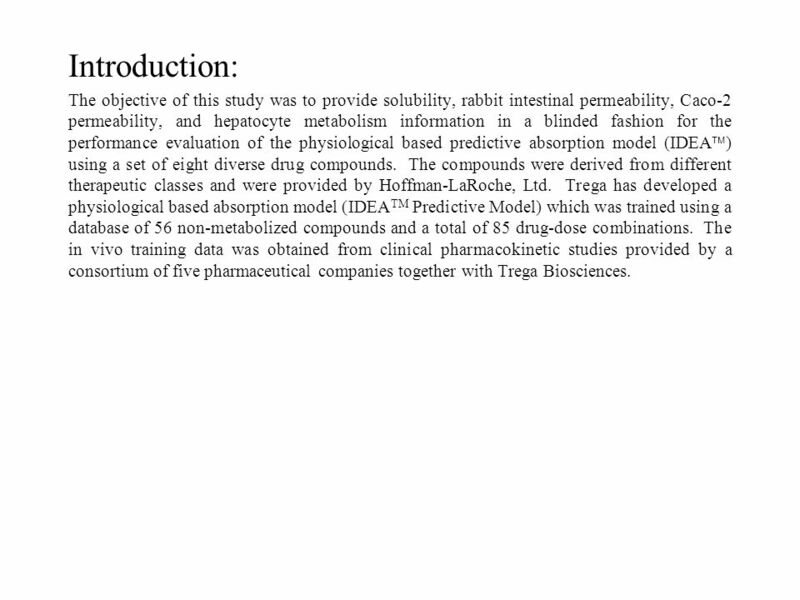 The in vivo training data was obtained from clinical pharmacokinetic studies provided by a consortium of five pharmaceutical companies together with Trega Biosciences. 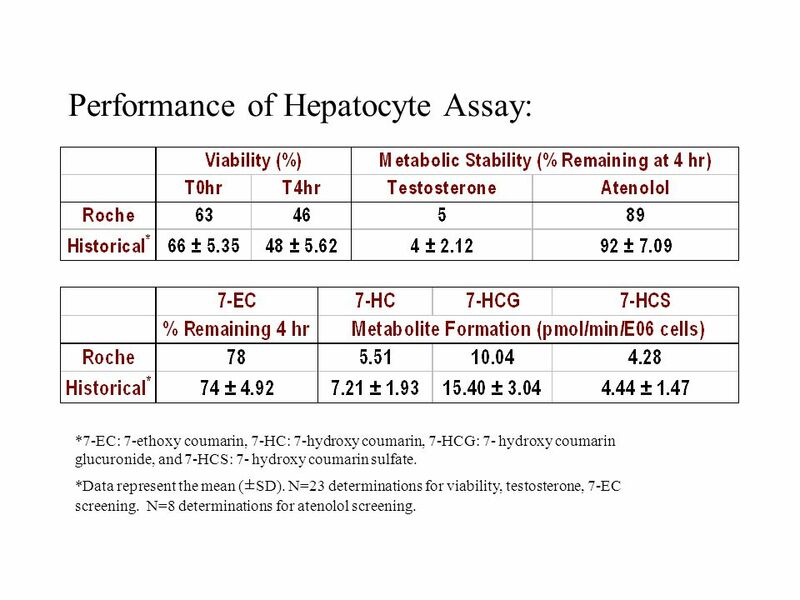 16 Performance of Hepatocyte Assay: *7-EC: 7-ethoxy coumarin, 7-HC: 7-hydroxy coumarin, 7-HCG: 7- hydroxy coumarin glucuronide, and 7-HCS: 7- hydroxy coumarin sulfate. 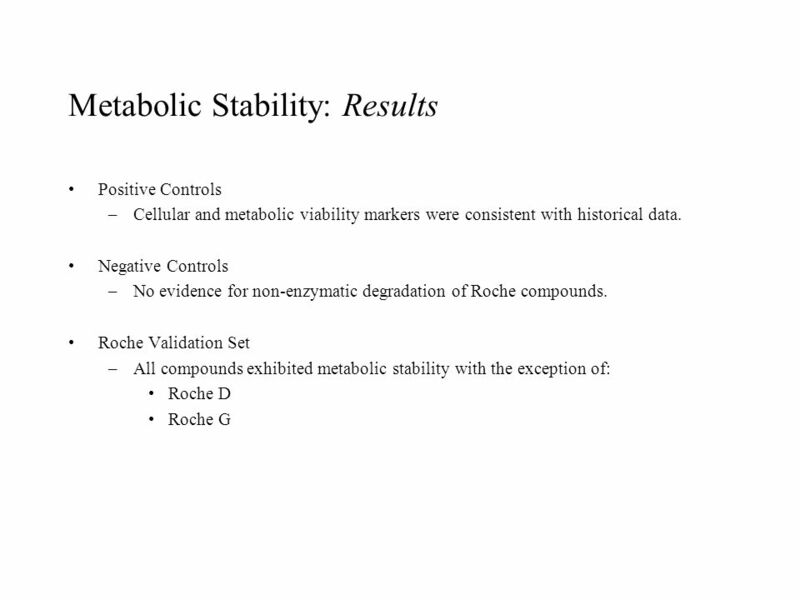 *Data represent the mean (±SD). 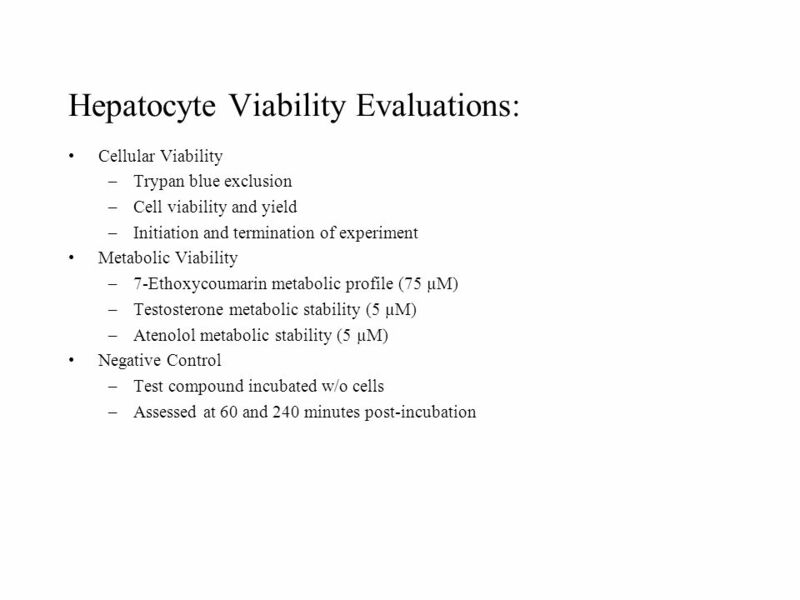 N=23 determinations for viability, testosterone, 7-EC screening. 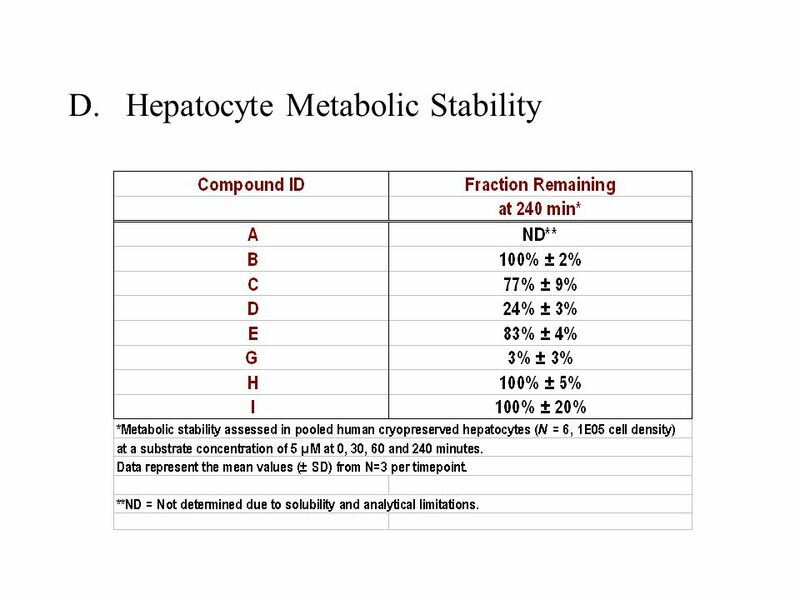 N=8 determinations for atenolol screening. 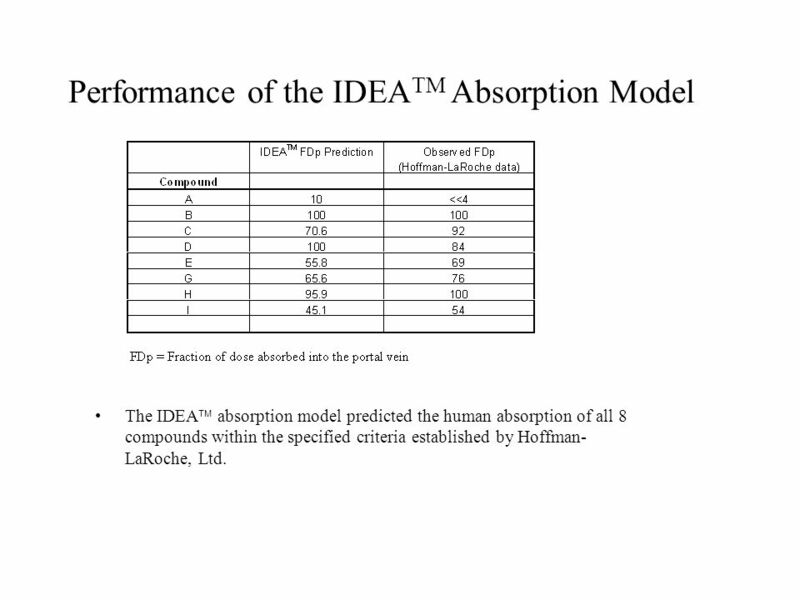 17 Performance of the IDEA TM Absorption Model The IDEA absorption model predicted the human absorption of all 8 compounds within the specified criteria established by Hoffman- LaRoche, Ltd.
19 Conclusion: The primary in vitro data inputs used for the model included rabbit intestinal permeability from various regions and solubility determined at various pH values. 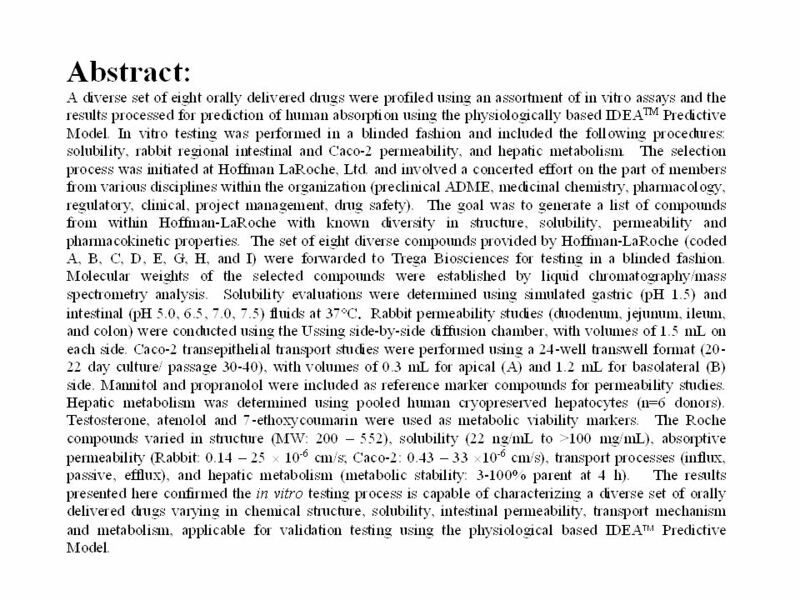 The compounds were very diverse in terms of their physical and chemical properties: MW: 200 - 552, solubility (22 ng/mL to >100 mg/mL), permeability (0.14 to 25 10 -6 cm/s), and pharmacokinetic properties. 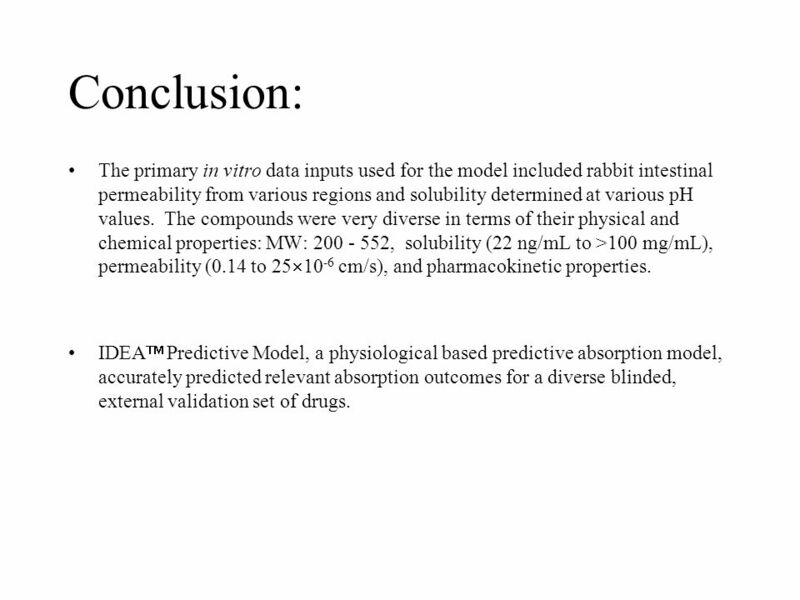 IDEA Predictive Model, a physiological based predictive absorption model, accurately predicted relevant absorption outcomes for a diverse blinded, external validation set of drugs. 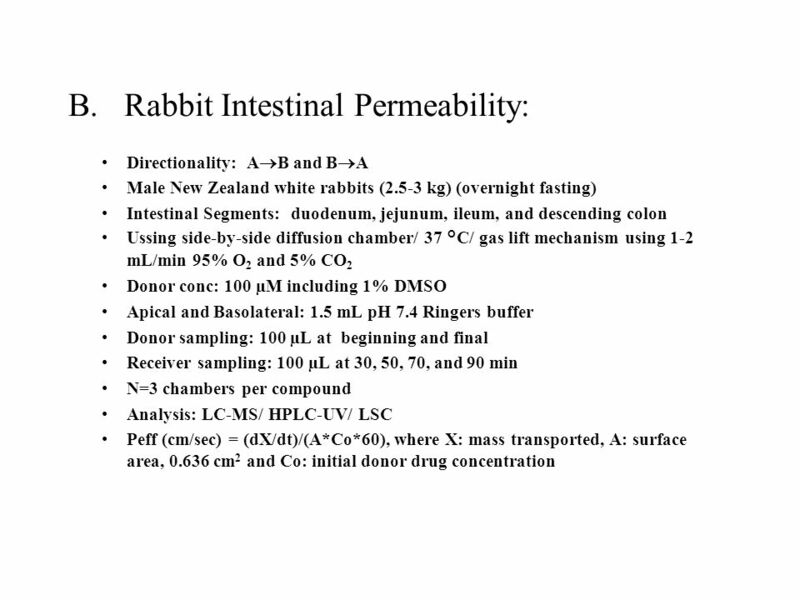 Download ppt "Introduction: The objective of this study was to provide solubility, rabbit intestinal permeability, Caco-2 permeability, and hepatocyte metabolism." 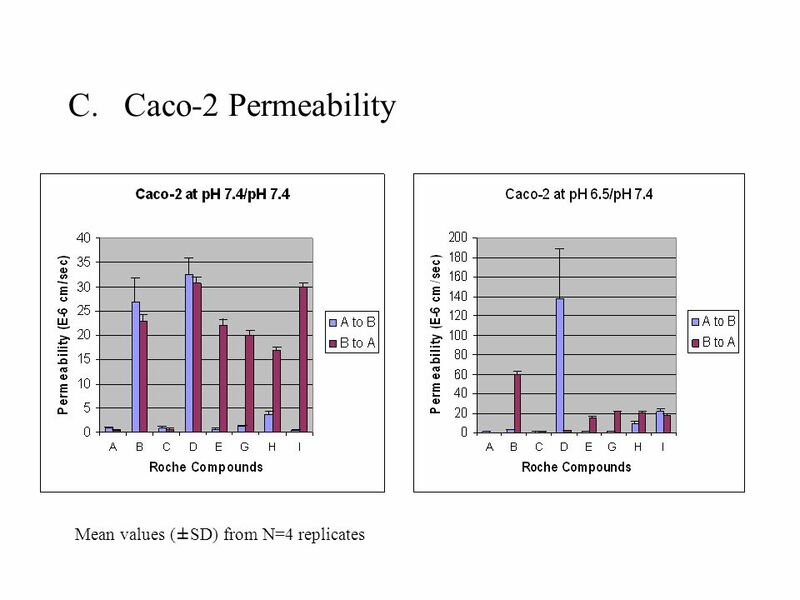 Pharmacological P-gp identification Since P-gp mediated drug efflux is a major hurdle in CNS drug discovery, it is important to identify P-gp substrates. 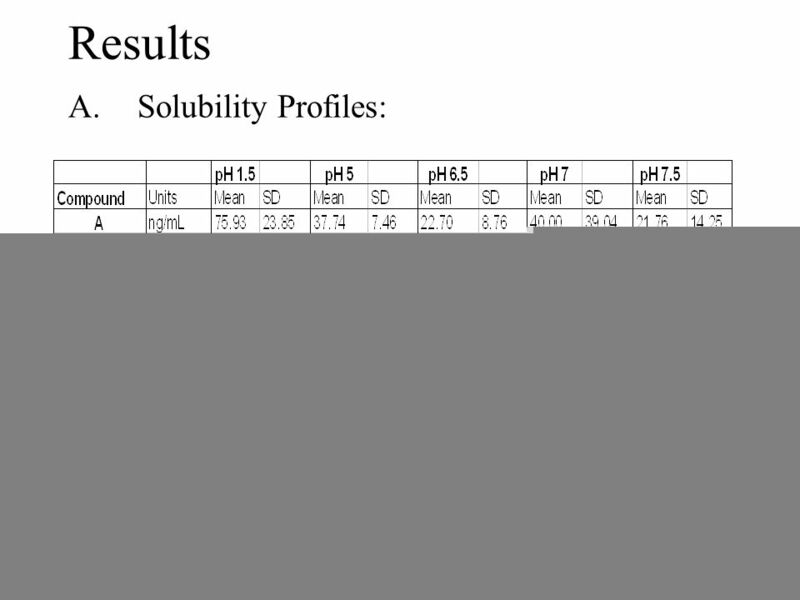 1.HCl = 3.0 – 2.1 = 0.9: dipole-dipole, London. H 2 O = 3.5 – 2.1 = 1.4: hydrogen bonding (H with N, O, or F), London. 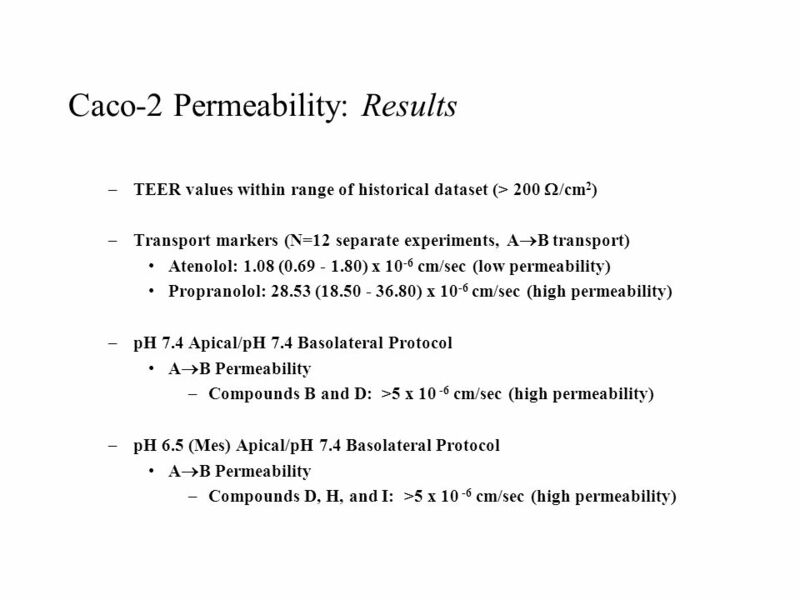 NaCl = 3.0 – 0.9 = 2.1: ionic, London. Dra. 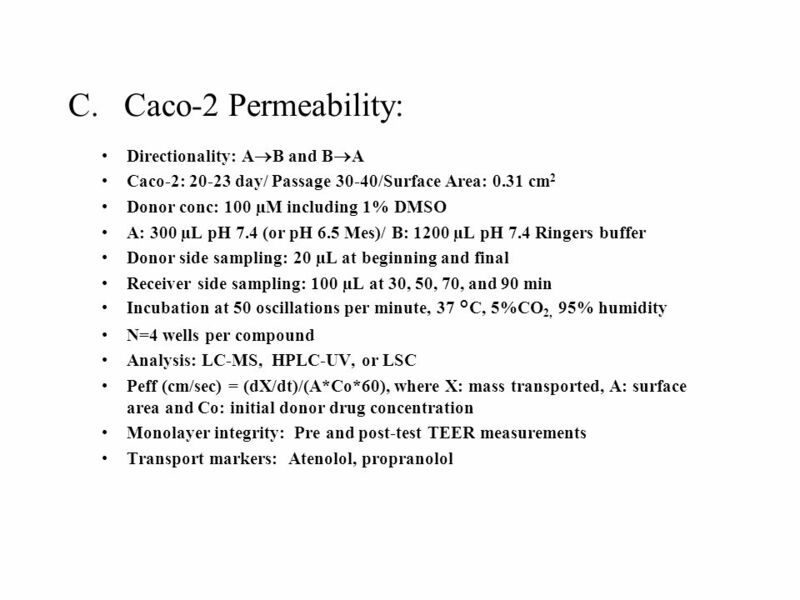 Argelia Castaño Ministry of Science and Technology National Institute Food and Agrarian Research (INIA) Animal Health Research Center (CISA) Dra. 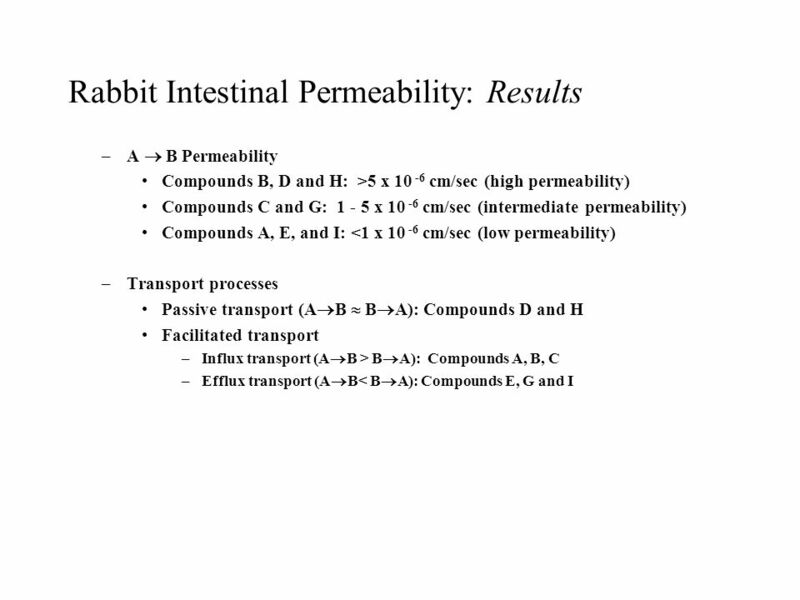 Modeling of complex biological systems Developing a new parameter estimation method using Gabriele Petznick, M.Sc. September 26, 2012.